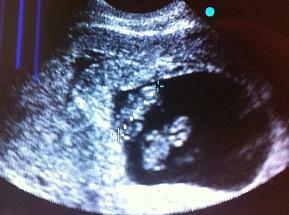 Long story short, I had a surprise ultrasound yesterday and the doctor found TWINS! One measured 8 weeks, the other 8 weeks 2 days. She said there were two sacs but the picture looks like there's only one. I am really thinking it was maybe the angle making it look like one sac, because my dad was a fraternal twin.